Just a quick message for anyone this might interest. A nice lady who is helping developing a new TV show for Channel 4 called Something For Nothing called me last week. She is looking for interesting frugal-minded people to feature on the show. The programme will look into the things that you can get for free – busting or proving popular money-saving myths along the way and featuring meeting everyday heroes who’ve used their skill, knowledge and persistence to achieve Something For Nothing on an amazing scale. It could be someone who’s lived off skill-swapping for 3 years and has achieved services worth over £5,000. Or an example of it going wrong. Somebody who has furnished their whole office / house from skip findings – or maybe they’ve made money by doing things up and selling them on ebay. Or anything similar that might be a good story. At last, it’s March and the growing season is upon us. I don’t know about you but it feels like this winter has been going on for at least six months and shows little sign of abating! Doug and I have been so cold in our draughty rental house that he kindly bought us several pairs of thermals each to wear under our clothes. I don’t know why we didn’t invest in them years ago! I am a convert. Now that that spring is almost here, and hopefully slightly warmer weather may be around the corner, Doug is busy growing his seedlings. As you’d expect, there’s barely a window sill free in the house. The seedlings are mostly salad leaves, although he does plan to plant some tomatoes in the coming weeks. We spent the other weekend putting up the greenhouse which used to be in the garden in our old house in Essex at the allotment. Not the most fun thing you can do when it’s zero degrees, granted, but it had to be done. 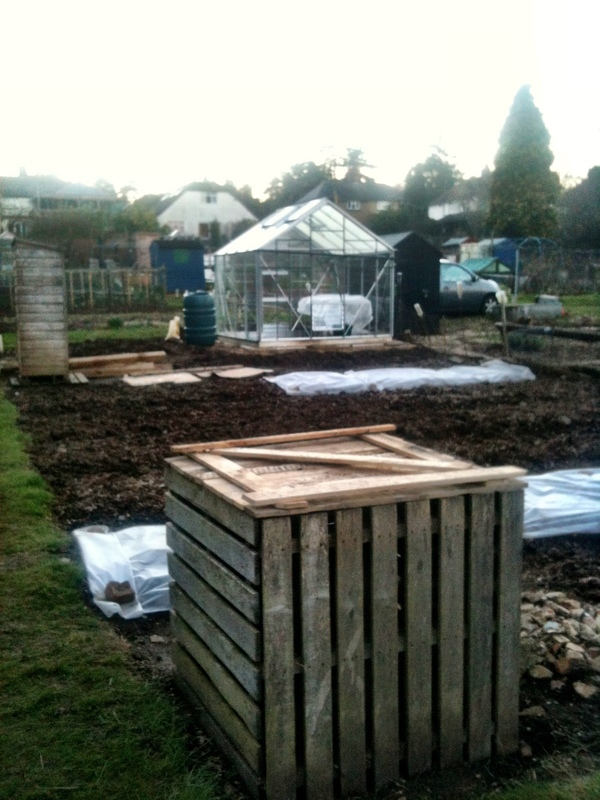 It has been sitting piled up in the garden for the past 16 months, so it was good finally to get it up and being used. Doug has just left his seedlings up at the allotment, in the greenhouse, for the first time today. Now we’re just hoping it will get some sun…Fingers crossed! Sorry, this is later than advertised as I’ve unfortunately been ill lately with a nasty cold bug, but here is the interview I was telling you about that I did on the Chrissy B Show recently. It’s about 15 minutes into the piece but do watch the first segment with Michelle Nicholson, who runs the Being Creative blog, as it’s really interesting and inspiring. I’m back on again in a pre-recorded interview on Boxing Day on what to do with unwanted Christmas presents. If you have Sky channel 203 you can catch it at 9.30pm-10.30pm then or it’s repeated again on Thursday 27th December at 2-3pm. On the Chrissy B Show! Hope you’re having a good week. 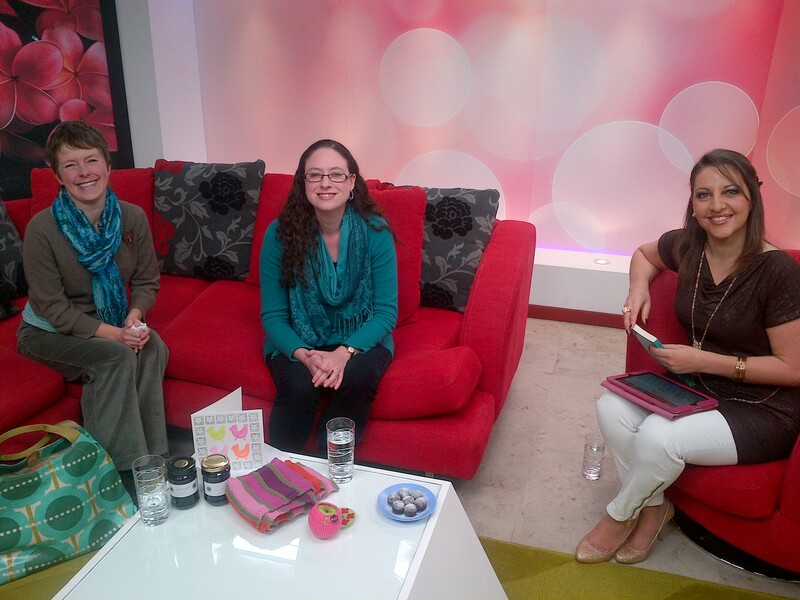 As I mentioned in my last post, recently I was invited on the Chrissy B Show – a London-based talk show broadcast on Sky channel 203 – to talk about living frugally and saving money. Also on the show was the lovely Michelle Nicholson from Lincolnshire (on the left in the photo above – Chrissy B is on the right) who runs a fantastic craft blog called Being Creative. She brought lots of her amazing craft items and delicious chocolate truffles along for us to sample. Technology is great when it works. Unfortunately there was a problem with the satellite that night so the show wasn’t broadcast (no, for once I didn’t sit on the transmitter!). It will now be broadcast this Friday 23rd November from 9.30pm to 10.30pm in case you want to catch it then. Otherwise, if you don’t have Sky, it will be available to watch on YouTube about a week later, so I’ll post the video here once it’s up. In the meantime, here are some photos of us there to give you a flavour of what went on! 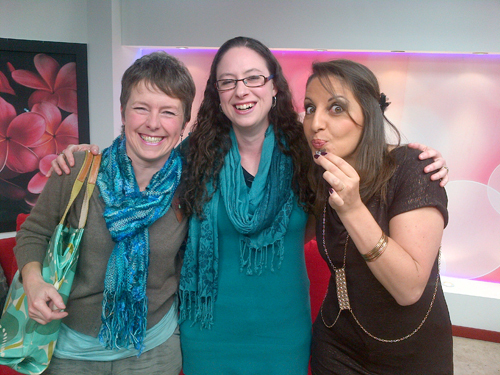 We had a lot of fun – that’s us above tucking into Michelle’s homemade truffles. I will be going on the show again soon for a show to be broadcast on Boxing Day to chat about what to do with unwanted Christmas presents, so I’ll let you know more about that very soon. Have you started planning for Christmas yet? I’m really looking forward to it this year. I love the festive season anyway, but this year I’m especially looking forward to the break from work as it’s been a busy few months since I started a new job this autumn. This year I thought I’d try getting ahead of things by squirrelling away Christmas-related items each week before we actually get to the holidays to spread the cost. 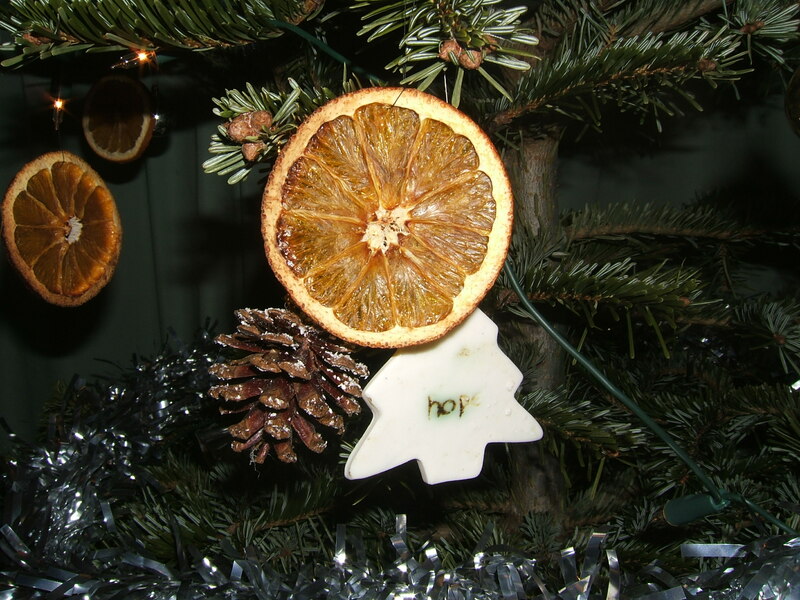 It’s easy enough to source these things – after all, the shops have been brimming with Christmas tat since September! But I thought it might also be a good way to take advantage of some bargains and to avoid the December rush.Of course, it isn’t possible to buy everything ahead of time. I was tempted last week by some all butter mince pies for sale in our local Sainsbury’s, for example, but then they will go off before Christmas. I would happily eat them now but I think I might have trouble fitting into my work trousers. And that’s before the Christmas feasting itself begins. We’re all bound to put on a few pounds during the holidays, but I don’t want to start off that way if I can help it. So far we’ve managed to take advantage of some booze bargains we’ve seen on offer – picking up some cut-price Chilean Casillero del Diablo (cellar of the devil – a bit of a favourite in our house) merlot last weekend and some reasonably-priced cava. The tricky thing, though, is not being tempted to drink it before the 25th December so I have separated the Christmas items from the normal household items. So far we have the red wine, cava, a Christmas pud, Christmas cards and wrap squirrelled away in a box in the spare room. I’m also saving my up Nectar points with the idea that I can spend them on Christmas food or put them towards presents too. Last weekend Doug and I were browsing in Wilkinson’s in St Albans, looking at the wine-making kits, and we started wondering about whether it might be a good idea to get some homemade beer on the go for the festive season. It takes about six weeks to make, so now would be a good time to get it going. The problem is that, with still lots of our belongings in boxes in various rooms in the rental house, neither of us is too sure where Doug’s brewing kit is. We’ll have to have a root around to see if we can find it. Now that we’ve been renting in Hertford for a year, we’ve unpacked most of the things that we use all the time but lots of other things remain in boxes. This is not only from laziness (although obviously that has played a part…) but also because we’ve been house-hunting much of the year and thought it wasn’t worth unpacking things that we would just end up repacking again. But, with nothing much on the market at the moment, who knows how long it will be before we need to do that? I’ve also wondered that if we haven’t used some of these things in boxes by now, whether we really need them. There may very well be some things that we could either take to the charity shop or sell online. Perhaps during the holidays it might be a good idea to go through these boxes and take a look. This morning I found a half-used jar of goose fat we bought from our local farm shop last year and saw that the best before date says 2015, so I’m wondering whether this will still be OK to use this Christmas, rather than have to buy a new jar as they can be expensive. Meanwhile, we’re still deciding what to have for Christmas dinner this year. Last year we had a delicious joint of beef raised on the same local farm – Foxholes Farm. It was gorgeous, melt in your mouth stuff. I’ve been wondering about whether to have turkey this year but the problem is that, when there’s just two or three of you for Christmas dinner, you end up eating it for days and getting fed up with it. So I’m wondering if chicken, duck or beef might be better options. Next up is planning the Christmas presents. My Mum has already been organised and has started asking us what we would like, so that is in the works, which is good. Then hopefully that will allow us to spread the cost of Christmas and avoid any nasty financial surprises in January. I always like to set a budget per head when I’m buying Christmas presents so that I can stay within my spending limits. Meanwhile, I was invited to go on the Chrissie B talk show on Friday night, broadcast on Sky channel 203, to talk about living frugally. It was great fun and I met a lovely crafty lady from Lincolnshire called Michelle who is also a blogger. She is sending me her details so that I can tell you more about her blog soon. The show will be available to view on YouTube in a week’s time so, in case you fancy a peek, I will be posting the link here. In the meantime, do get in touch and let me know how your plans for Christmas are going. Have you started planning your Christmas spending yet? How will you be saving money this year? Do get in touch and let me know. On Hallowe’en it will be 12 months since we sold our house in Essex and upped sticks to Hertford. I still can’t quite believe it. The year has gone by so quickly. We’re really enjoying living here and getting to know the area, even though things haven’t quite worked out in the way that we’d planned yet. We’re still renting at the moment. We didn’t intend to – it just worked out that way. We’ve spent the last couple of years looking for somewhere to purchase, albeit in various different places, unsure quite where we’d end up but dreaming (unrealistically!) 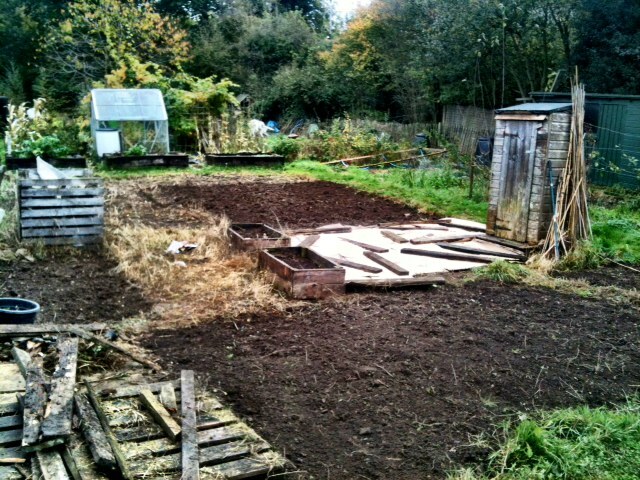 of somewhere with a bit of land, or at least a bigger garden than we had in our old house. Douglas, my other half, loves gardening and has been planning to set up his own part-time venture growing salad leaves along organic lines. You can find out more about this by checking out his website Sweetpeasalads.co.uk. We liked the idea of him being able to do this at home so that he could keep a closer eye on pests trying to munch their way through the produce, etc..
Over the past few years we’ve looked at houses all over the place – in Norfolk, Suffolk, Cambridgeshire, Kent, Colchester – anywhere where we might be able to get some land with a place, but nothing has worked out yet. More affordable properties always tended to be too far away from London for work and places that were closer were beyond our budget. Being fans of Grand Designs, we experimented with the idea of self-build but the sky-high price and scarcity of building plots in the South East means this isn’t really viable for us. In the end, when we sold our house in 2011, we still couldn’t find anything to purchase and so we decided to rent so we wouldn’t lose our buyer. From our old house in Billericay, Doug’s work commute to Victoria was a bind (1 hour 40 on a good day) so we thought that we may as well rent somewhere where his journey would be easier, and so we set on moving to Hertford. We liked the place when we visited here last year while preparing to get married nearby, so we thought it would be a good place to try out. It’s worked out well so far. Hertford is very green with lots of attractive old buildings, surrounded by countryside and with three rivers going through it. It’s easier to get into central London from here, plus we get a small taste of the country life – our rental house backs onto fields and there is a wood nearby where we can go for walks, full of deer and pheasants. We were very, very lucky to sell our house – not everybody in our old road who wanted to has been able to do so. But finding a new home (with a decent-sized garden, at least to fit Doug’s greenhouse in) to buy here has proved difficult so far. Even though the market here isn’t anything like as bad as it is in other areas of the UK, there is very little in the way of properties coming up for sale. In the downturn, the only people who are selling are those who have to sell – ie. they’re relocating, downsizing, divorcing or they’ve inherited the property. And most prices remain high, too. There isn’t much that’s good value for money and, when there is something, it tends to go very quickly. We nearly bought a house earlier in the year because it was the only one we’d seen that we could imagine living in, until there were problems with the chain and I had second thoughts about it. I still daydream about us living on a smallholding some day, with Doug growing his vegetables and a merry band of chickens and goats keeping us company, but it is unlikely to happen. Fortunately, Doug has a sensible, can-do attitude and has taken some decisive action in the past week. 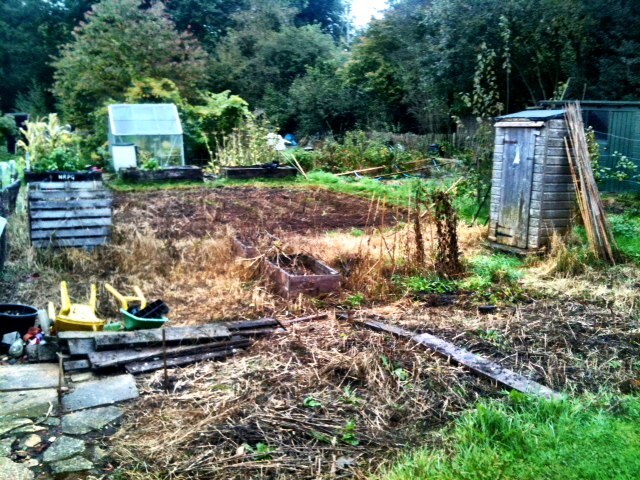 He has got himself an allotment on a nice plot which is a ten minute walk from our rental home. Our rental has a small garden which gets very little sun and so Doug hasn’t been able to grow much in the past year besides a few courgettes, beans, sweetcorn and sweetpeas in the one tiny flowerbed that faces south (and that was battling with Dougal the cat who liked to use the sweetpea patch as a litter tray/bed…). Hopefully Doug will now be able to get cracking and grow all the many vegetables and salad leaves in 2013 that he has been wanting to grow all this year. As far as Sweetpea Salads goes, the plan is that he will eventually start up his salad business on a plot that he plans to rent from a local farmer. But while he waits for various unrelated planning applications to through go at the farm, at least he will have the allotment to satisfy his horticultural talents. Yesterday Doug and I braved the steaming hot weather and spent several hours in a boiling car driving up to Dereham in Norfolk. There were a few occasions during those hours on the road when I wondered to myself – if not out loud – why on earth we were doing this when we could be safely at home under a nice cool tree, lazily sipping a pleasant cold beer and watching the hens run about the garden, but Doug was determined to make the trip and fortunately it was well worth it once we got there. We were driving all that way in the crazy heat to go on a farm walk around a very special bit of Nelson’s county. 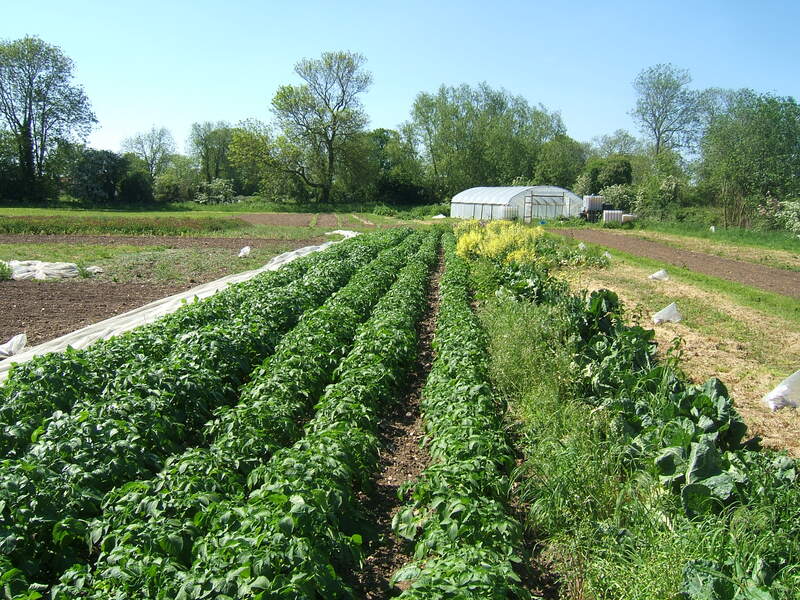 Enterprising Sam Eglington, who runs Garden Farm Produce, has taken over 2 acres of land in Gressenhall in Dereham and has established a beautiful market garden which is grown along organic lines. When he took over the field in 2008 it was just meadow land and full of thistles. Plus he also had to contend with the fact that a year later the financial crisis hit and the bottom dropped out of the organic veg market, with many box schemes which had flourished in the years before sadly forced to fold. Fortunately due to a keen sense of business and a strong belief in what he is doing, coupled with an encyclopedic knowledge of growing, he has managed to keep going and made his first profit last year. 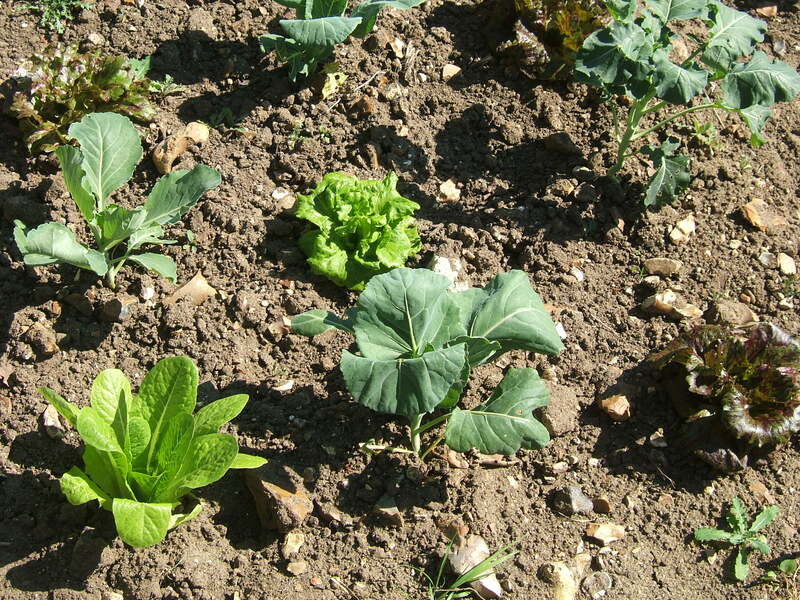 Sam grows a variety of crops, including potatoes, lettuces, tomatoes, brassicas (broccoli, cabbages etc.) and radishes which he sells to a local wholesaler and restaurants. He is also growing some green manure to improve the soil, including a beautiful crop of red clover which unfortunately I forgot to take a photo of. As we are busy researching launching our own venture at some point soon, the visit – and listening to Sam’s excellent advice and interesting experiences – was invaluable. It was also interesting to meet members of a community supported agriculture project called Farm Share in Norwich who were also taking part in the walk. CSAs are popular in the US but are gradually gaining traction here in the UK. 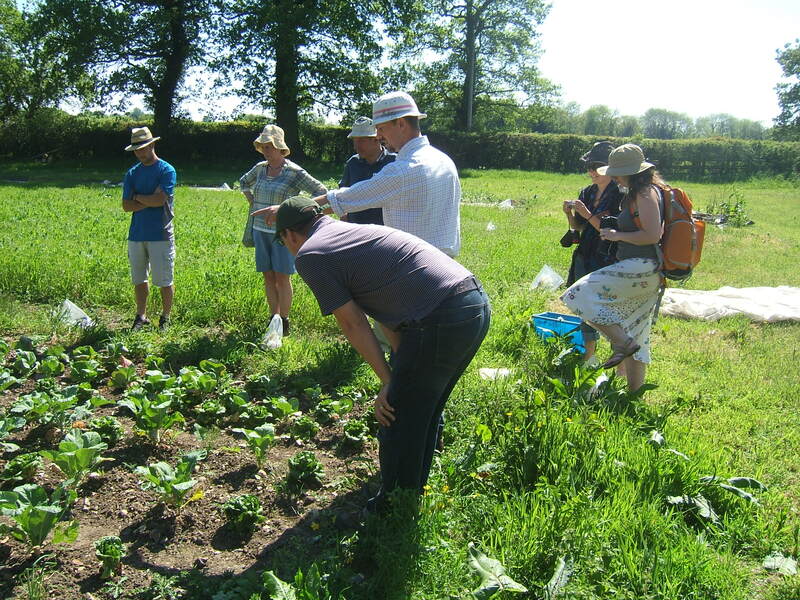 Farm Share have 100 members who each contribute a set amount every month to the project and receive a share of the produce each week, as well as volunteering there for nine hours a year. The team had five acres and recently took on another three, which dwarfs the modest one acre we are hopefully taking on next year to grow salad leaves! It was really inspiring to meet them and if you’re in the Norwich area why not think about joining their CSA? After a two and a half hour tour of the plot in the searing heat, and patiently answering all our questions, Sam very kindly treated us to homemade flapjacks and ice-tea in the shade. How quintessentiallly English and a great way to finish off the afternoon! Needless to say there was a lot to talk about on the drive home. How are you? I don’t know about you but it seems to me that 2012 is flying by. I can’t believe it’s May already – you certainly couldn’t tell from the weather! As I write this there is a huge lake which has appeared in the field behind our house and is now filled with ducks and Canadian geese. My other half spotted a swan floating regally in it this morning. Apologies for the radio silence. I have had to take a break from blogging here much of this year so far as I’ve been busy juggling work commitments with writing a new book on how to run a greener business for Gibson Square Press. It will feature lots of interviews and case studies with real companies and what they’ve been doing to be more environmentally friendly. I’ll let you all know more about it when the book comes out soon. Meanwhile, I’ve been very privileged to ask to speak recently at a number of society meetings in and around Essex, including the Wanstead Women’s Group, the Shenfield U3A and St Mark’s School in Harlow, about how to be green without sprouting a ‘beard and sandals’ or spending a lot of money. I have also kindly been asked to give two further talks this summer in Essex, both on very different topics. Perhaps if you’re in the area you’d like to come along. 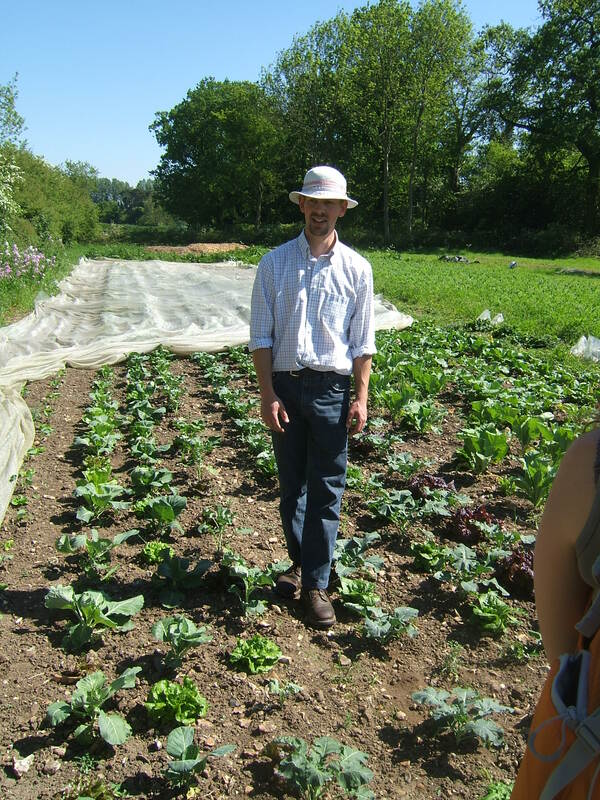 On Mon 21st May I’ll be visiting the South East Essex Organic Gardeners in Prittlewell at 8pm to give a talk on my husband Douglas’s new salad growing venture Sweet Pea Salads which is launching soon in Hertford. Non-members are welcome to attend for an entry fee of £2. The address is Growing Together, 47 Fairfax Drive, Southend-on-Sea SS0 9AG (corner of Fairfax Drive and Prittlewell Chase). For those of you who have more of a taste for crime than vegetables, I will also be speaking at the Essex Police Museum in Chelmsford on Thursday 14th June at 7.30pm about writing my crime novel Victim Support which is set in Essex and, if you don’t have one already, you can also get your personally signed copy of the book there from me at the discounted price of £6. If you fancy coming along, the museum is based at the Essex Police Headquarters, Chelmsford, Essex, CM2 6DA. If you’d like a copy of the book but can’t make it to the talk then please email me at piperterrett@googlemail.com. Also, if you’re a member of a society in Essex, Hertfordshire or the London area and would like me to come and give a talk to your group or to your pupils at a school assembly – whether on how to be green, how to write a book or another topic – then please feel free to get in touch by emailing me at piperterrett@googlemail.com – I am generally happy to travel within an hour’s drive of Hertford where I now live. How’s your 2012 going so far? Mine has been very busy as usual. No rest for the wicked as they say! I am writing another non-fiction book which has to be finished in just a couple of months, so very busy with that – I’ll let you know all about that soon – and juggling my other work commitments. 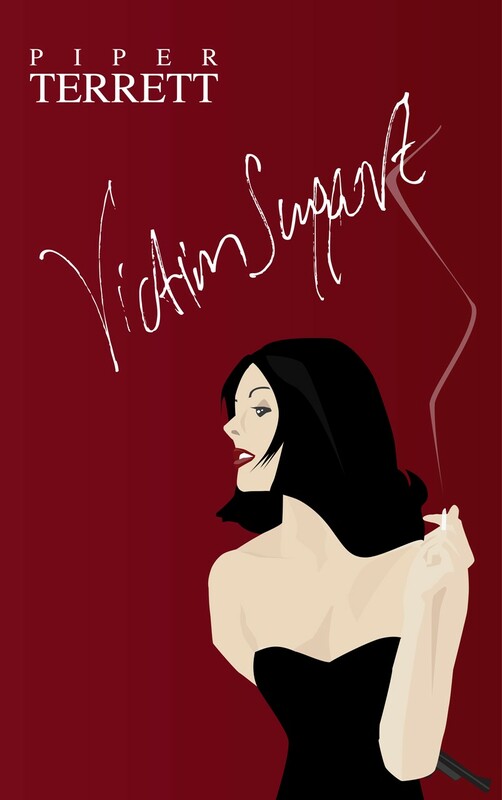 A very big thank you to everybody who has supported me by buying a copy of my debut crime novel, Victim Support. If you didn’t manage to get your signed copy, you can buy one directly from me by emailing piperterrett@googlemail.com or via Norsey Press marketplace sellers (also me) at Amazon.co.uk. And special thanks to everybody who came to my book signing in Billericay, where the book is set, in December – especially to the lovely Sylvia Kent (centre of the photo) who gave so much of her time to help organise and promote it and Mara Cotterell (on the right) who provided some of her delicious home-made cakes (from her new business Cake-Bites.com) and spent a lot of time out flyering on the day too. Very kind. We were lucky to have a steady stream of people throughout the afternoon – it was lovely to see so many old friends. Lots of people I know from Billericay came but also others from further afield, such as my cousin Terry and his wife from Maldon, old family friends – Geeta and Sue – from Ilford and an old friend, Tim Shand, from Witham too. It was fantastic to see everybody. What’s more, we sold lots of books – far more than we expected which was brilliant. 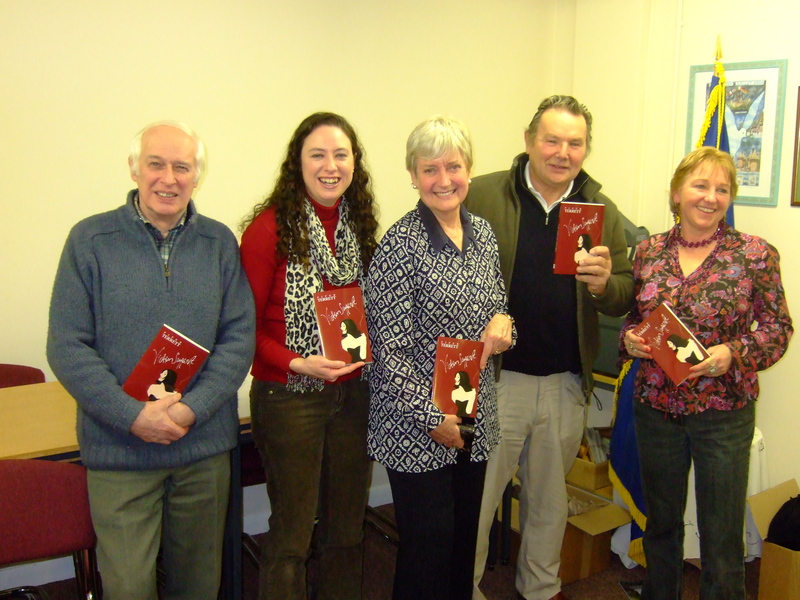 Lots of people took a chance on Victim Support as a Christmas present stocking filler – even famous Essex novelist Elizabeth Lord – which was very kind. And the feedback so far has been heartening too. People have been saying that they really enjoyed it and asking when the next one will be finished, so I’d better get my skates on and write it. After several years of working on the book in my spare time, this kind of feedback makes it all worthwhile. We had some great publicity for the book too from Sylvia Kent’s blog, the Billericay Gazette, the Hertford Mercury, BBC Essex and particularly Scott Ross at Phoenix FM in Brentwood, so a big thank you to all of them. You can listen again to my interview on Phoenix FM here and Sylvia Kent also read part of the book and discussed it towards the end of her interview as part of the Book Club on Phoenix here. Over Christmas I was also a guest on BBC Three Counties to talk about frugal living, which was great fun too. This month I’ve been blogging for the Energy Saving Trust’s blog about the trials of energy saving and living in rented accommodation – as we now are in Hertford since finally selling our home in Billericay in October last year. Plus I’ve also been trialing two brilliant energy saving devices made by Savasocket. I’ve got some exciting news to report! After a lot of hard work, the paperback version of my debut murder mystery novel Victim Support, published by my own press Norsey Press, is out now! It features my female police detective character Inspector Sam Cree and is set in the fictional town of ‘Norsey’, based loosely on Billericay in Essex where we lived for 7 years. We’ve just moved to Hertford – but more on that soon. Let’s just say it’s been a crazy month. 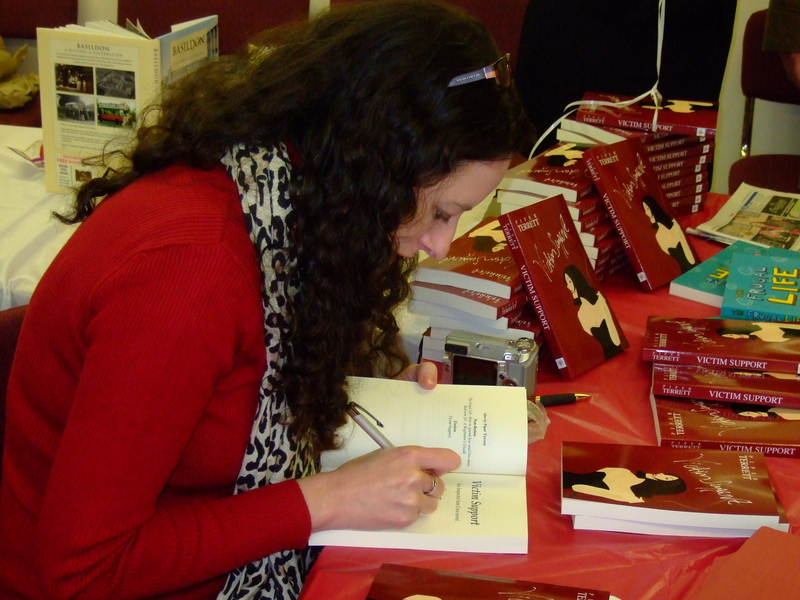 If you’re in Billericay on Saturday 10th December, you can meet me in person at my book signing which is taking place at 2.30pm-5.30pm at the Coach House, Billericay Town Council offices, Crown Yard, off the High Street (near Waitrose car park). I’ll be doing a reading from the book from 3.30pm onwards and you can get your signed copy discounted to £6 on the day. If you can’t make the signing but would still like a signed copy of the book (£6.99) please contact me directly at piperterrett@googlemail.com or you can buy a signed copy from me via Amazon.co.uk from Norsey Press marketplace sellers. When twin boys go missing, DI Cree and her colleagues on the Norsey Force are already overstretched. Then, a student and an elderly woman are mysteriously gunned down and evidence suggests a sniper is at work. In the background of each murder is an unsolved crime. Is revenge the motive or something deeper? Sam and her boss, Chief Inspector Bill Irons, face a race against time to find the missing boys and the killer before he strikes again. This is my third book – my first was Bedroom DJ: A Beginner’s Guide and my second The Frugal Life: How to spend less and live more, which is still selling in these tough times – but Victim Support is my first attempt at fiction and I’ve been working on it for a number of years on and off. I’m very excited!